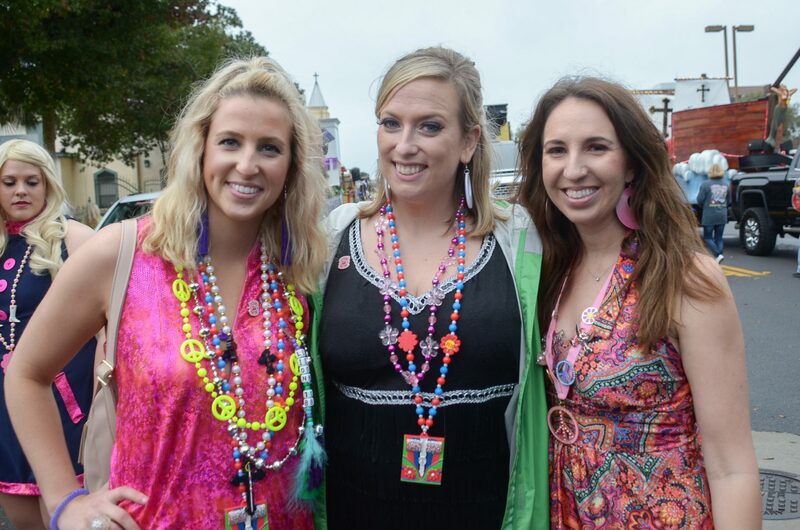 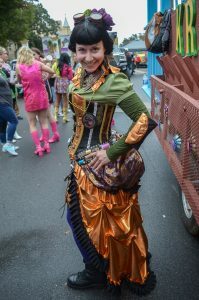 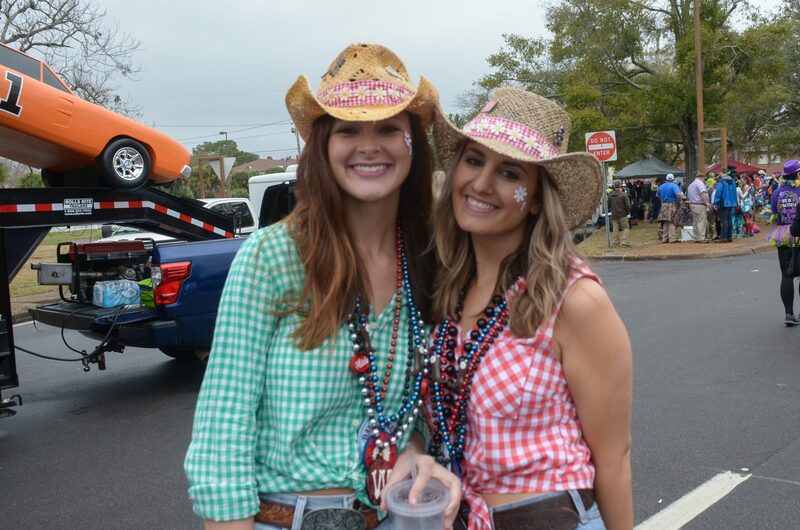 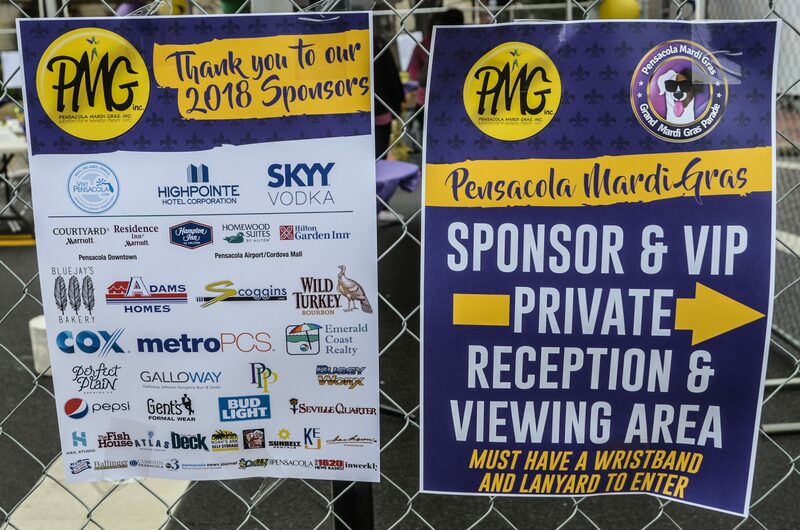 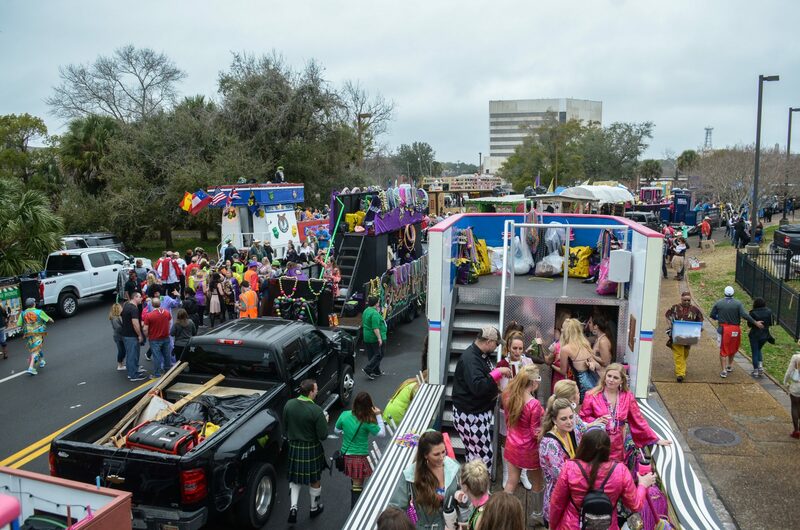 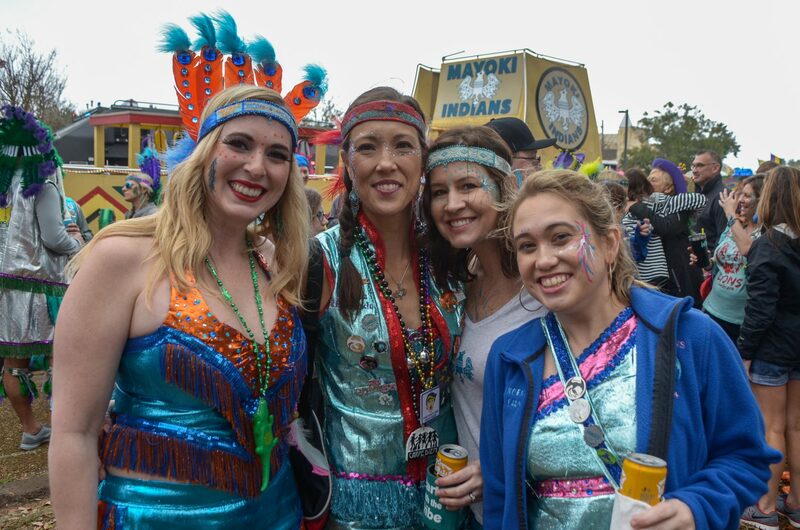 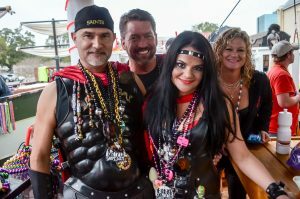 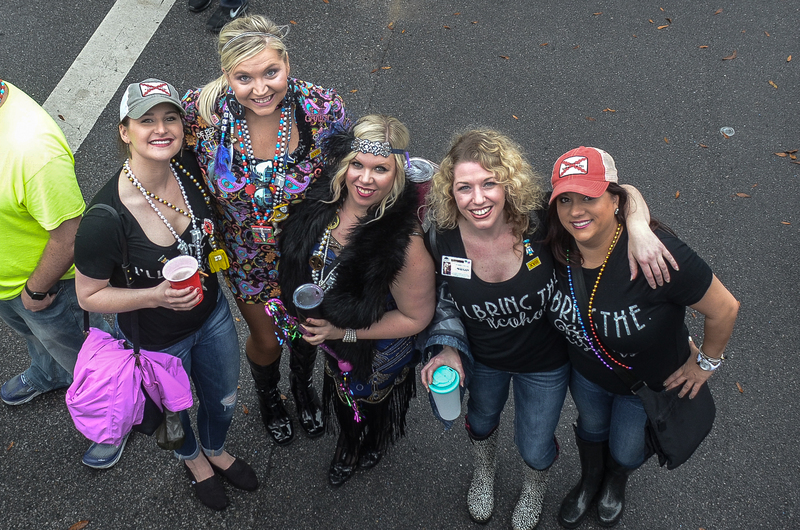 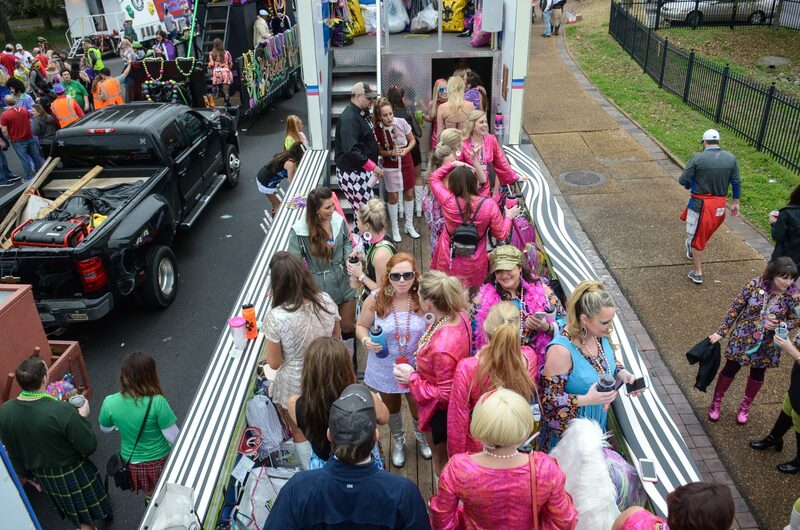 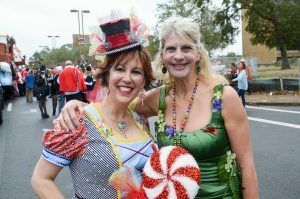 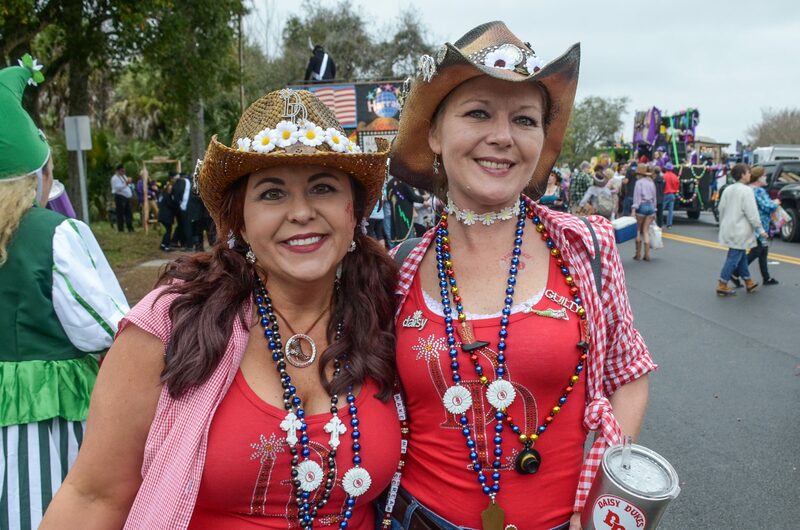 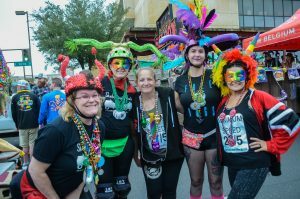 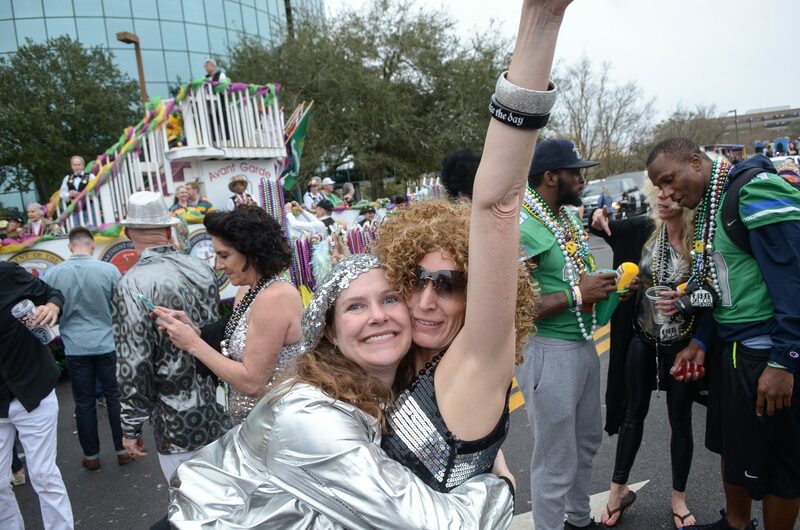 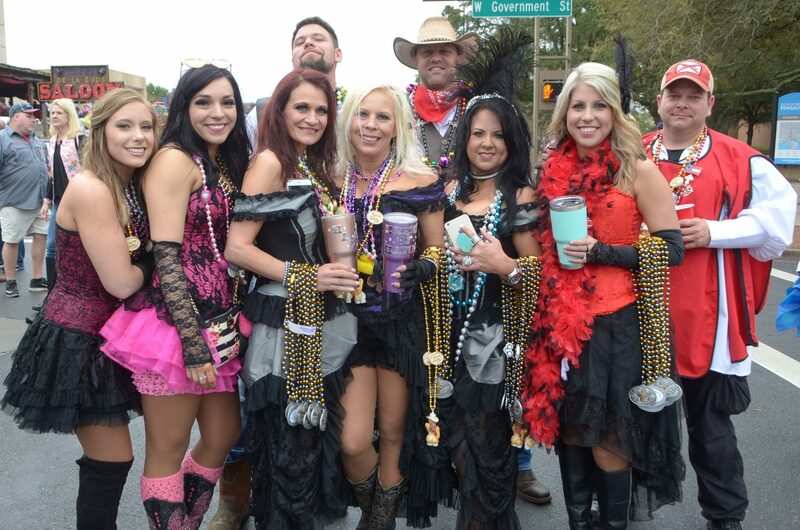 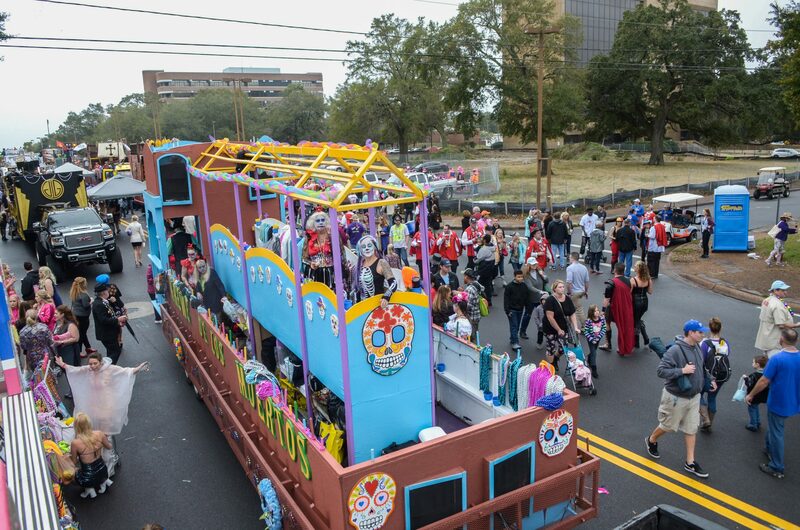 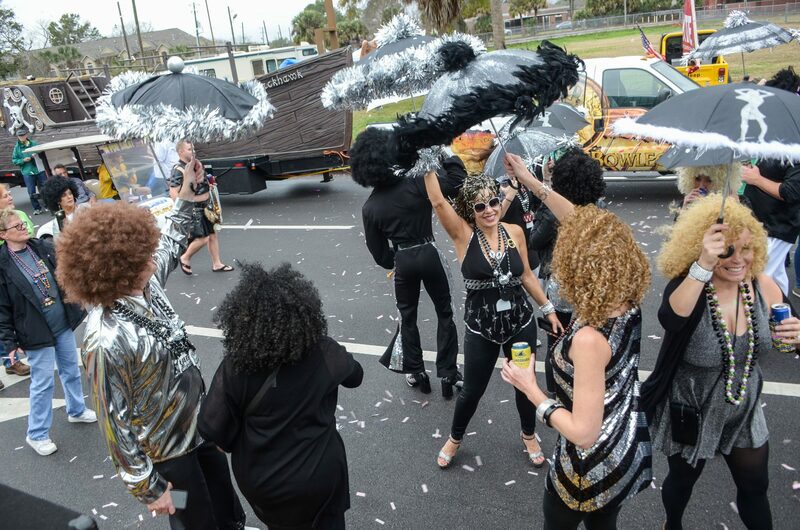 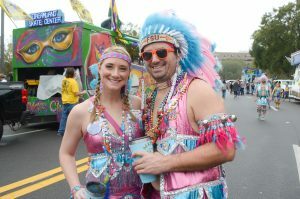 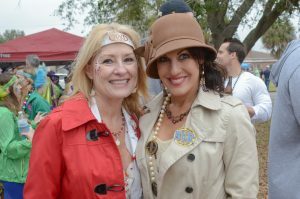 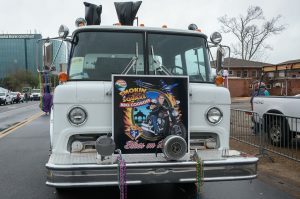 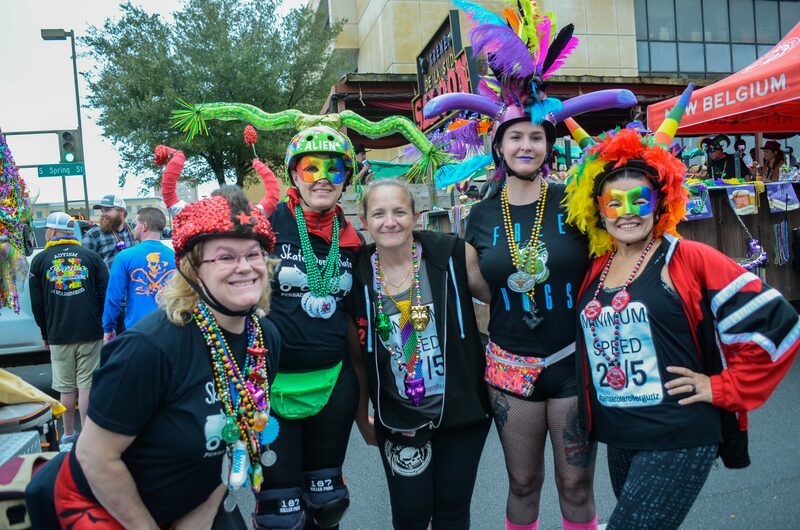 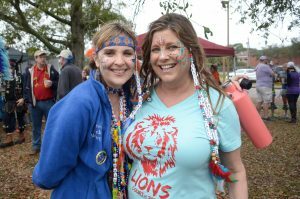 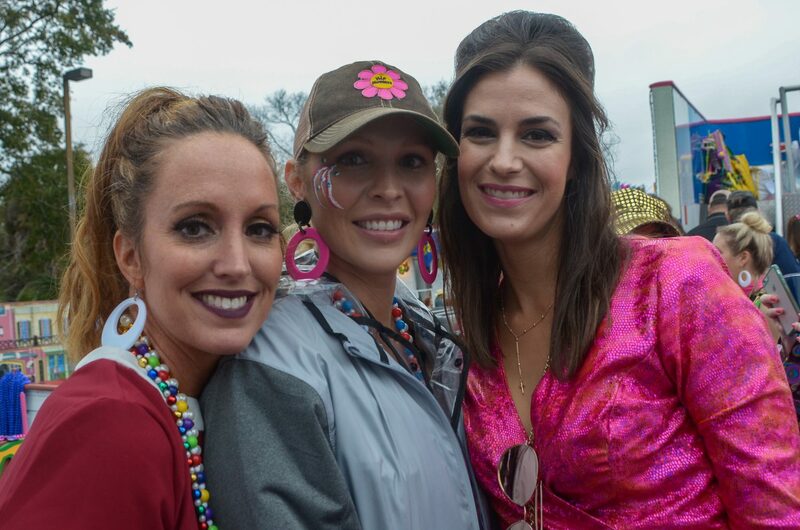 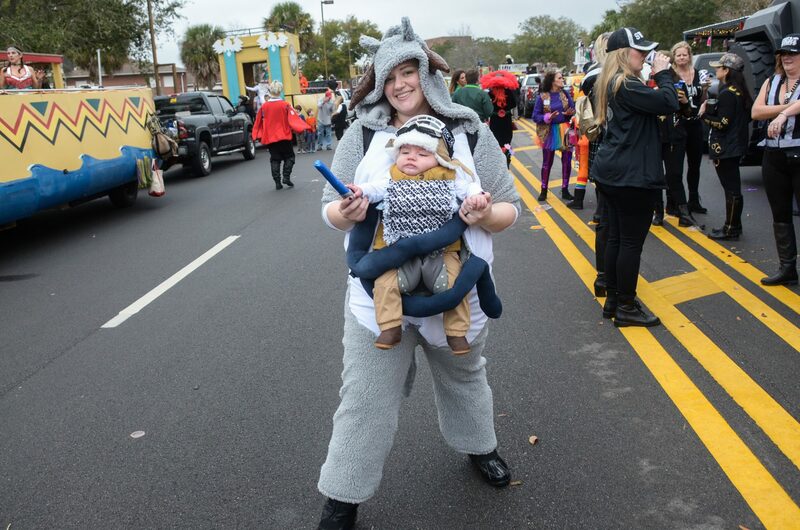 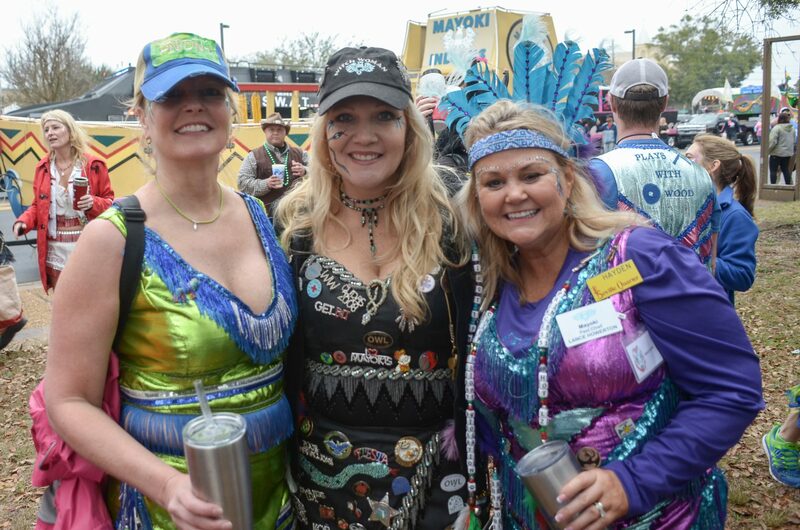 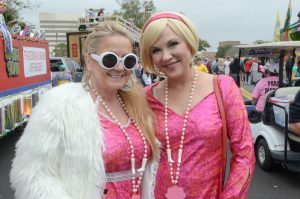 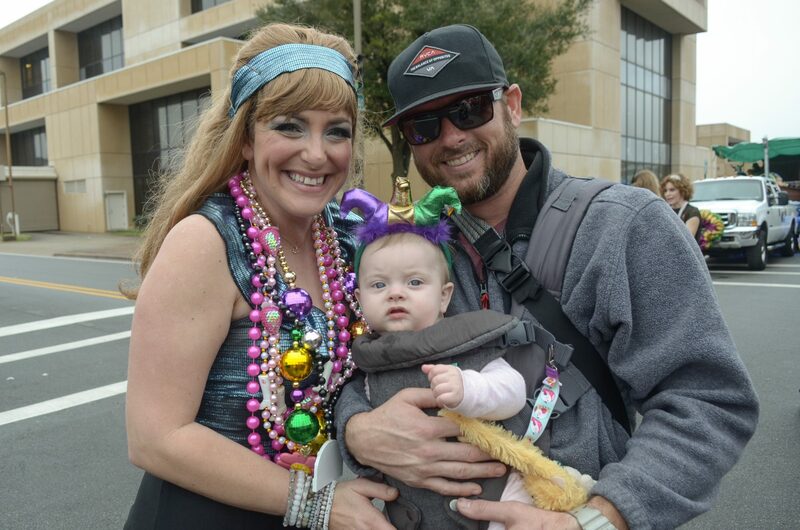 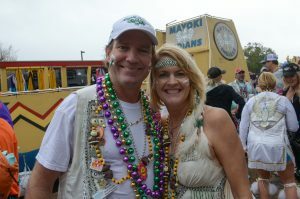 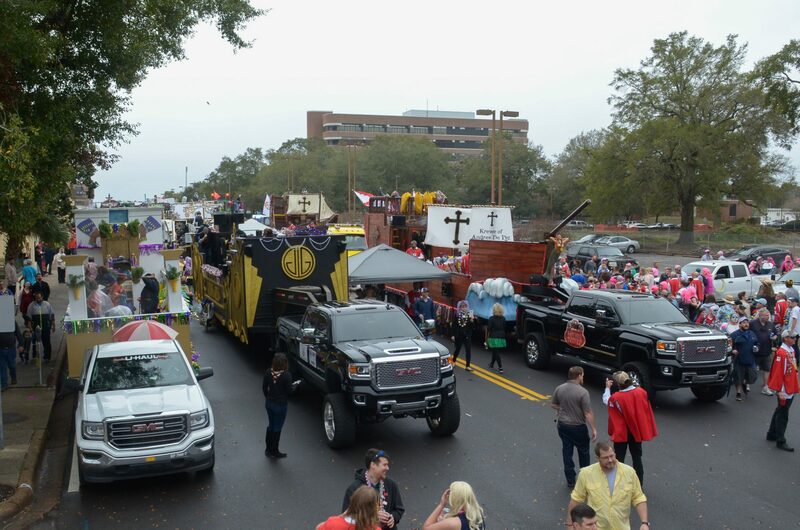 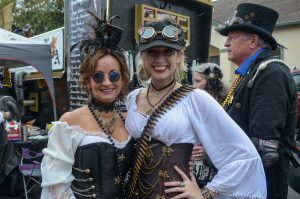 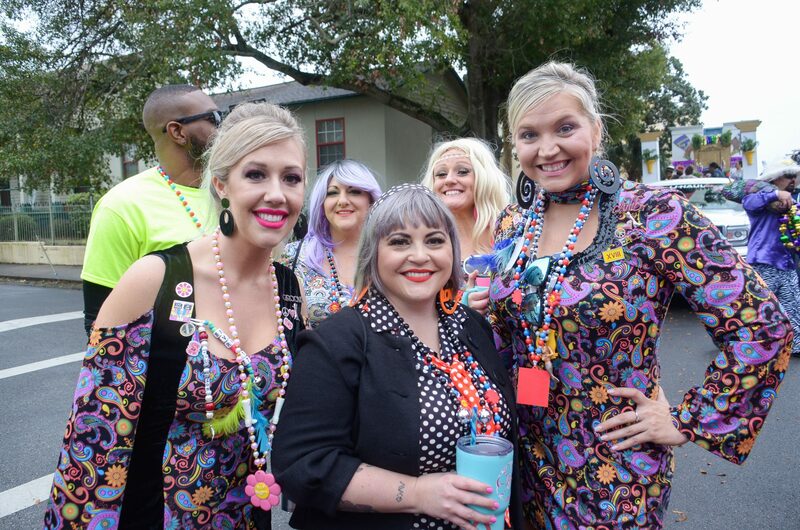 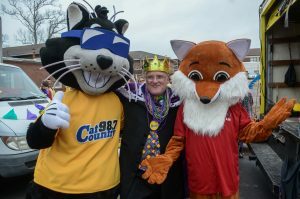 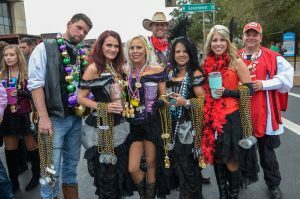 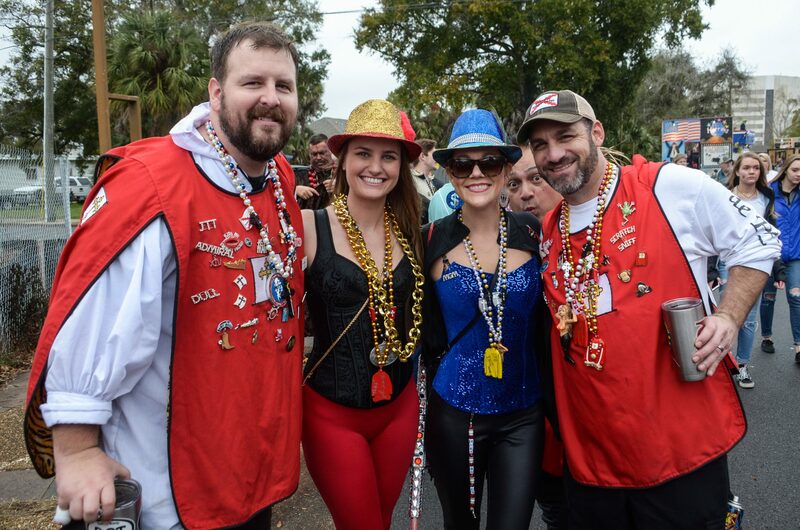 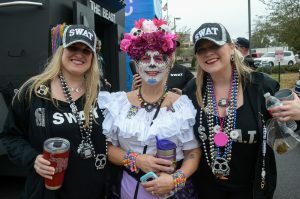 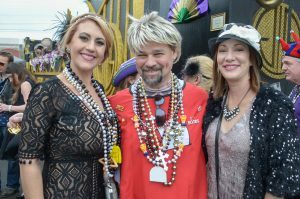 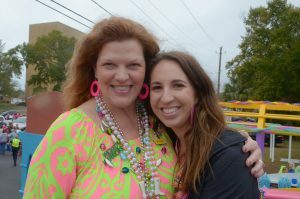 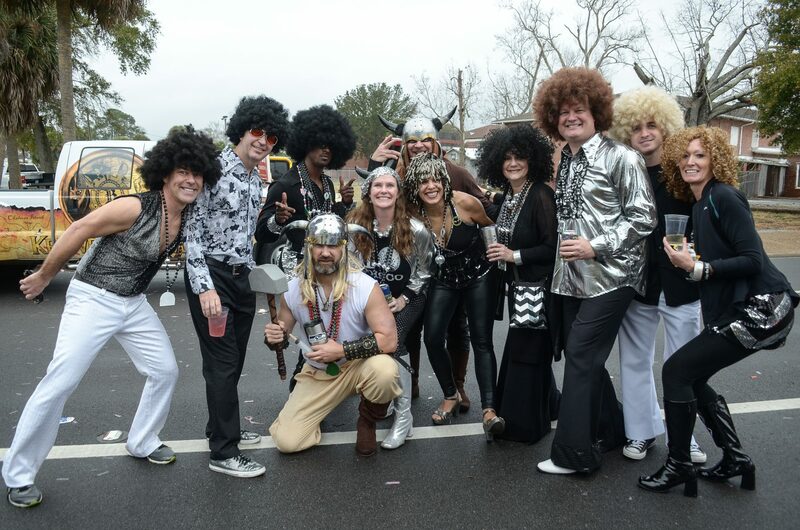 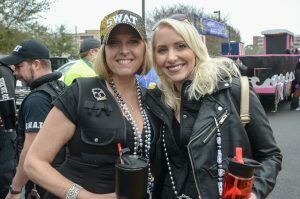 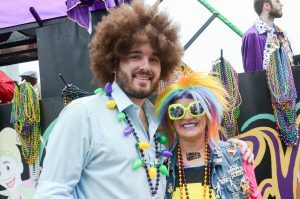 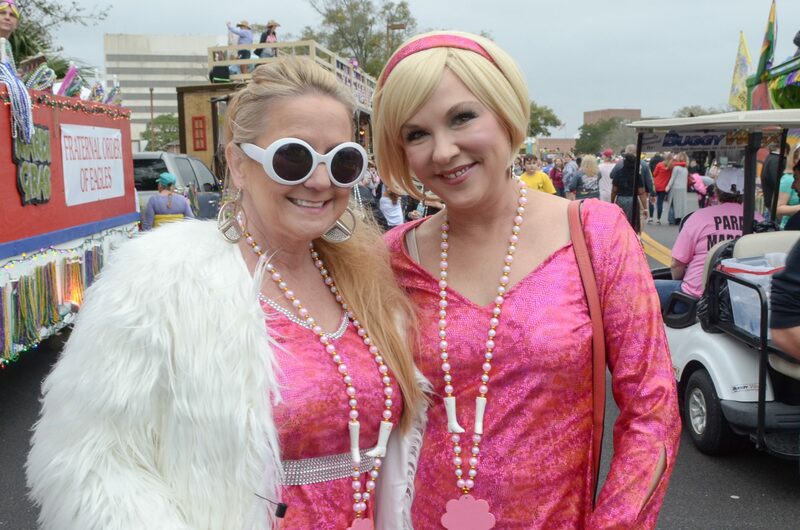 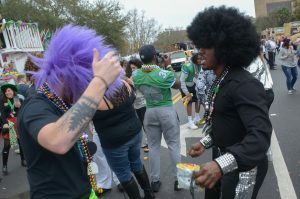 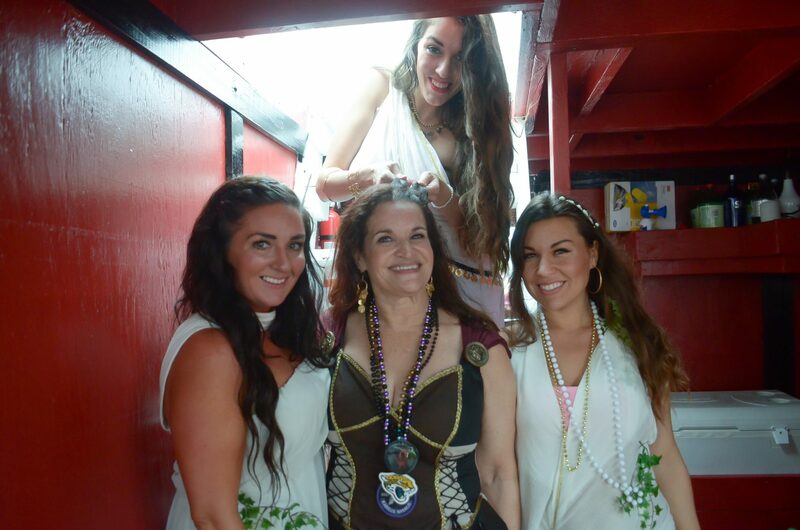 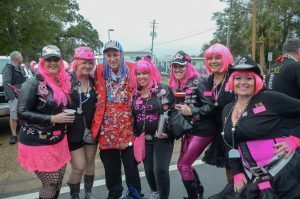 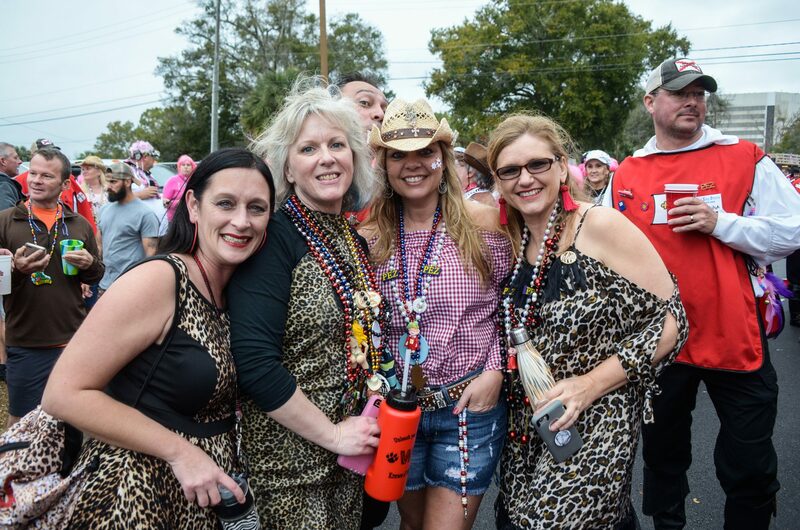 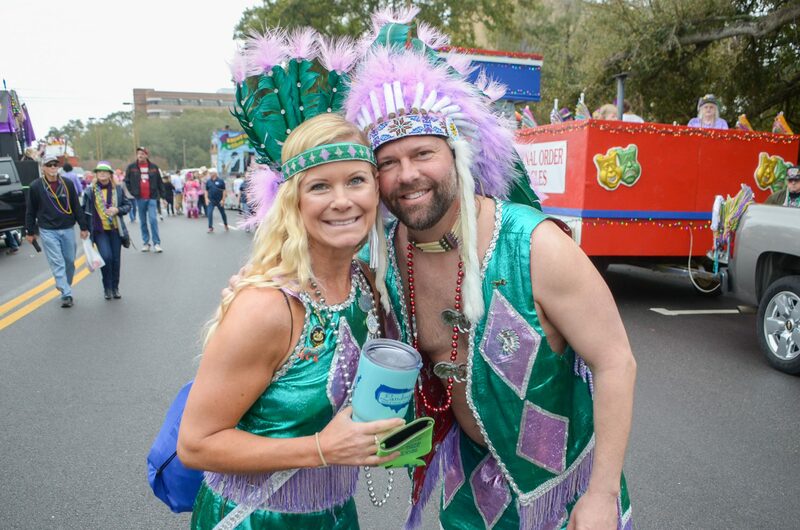 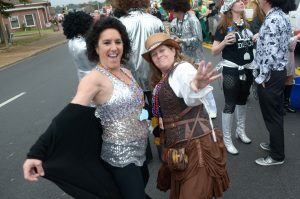 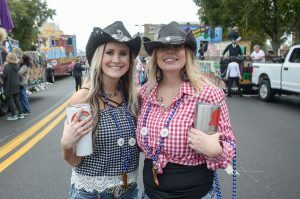 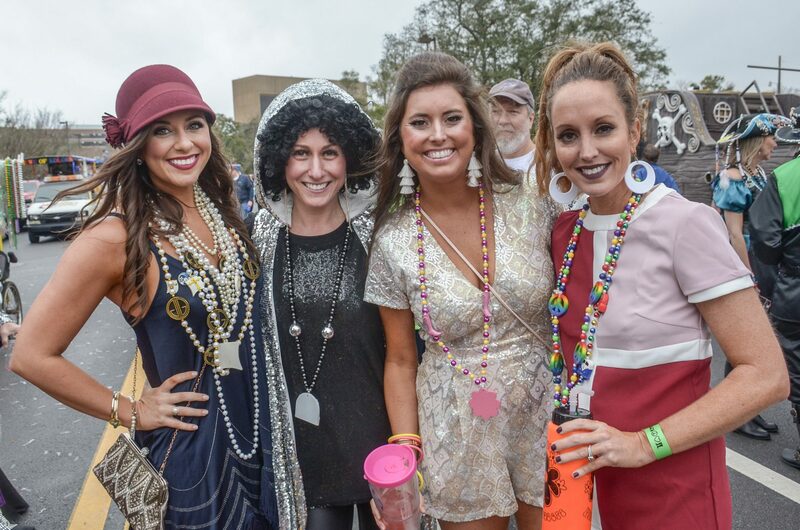 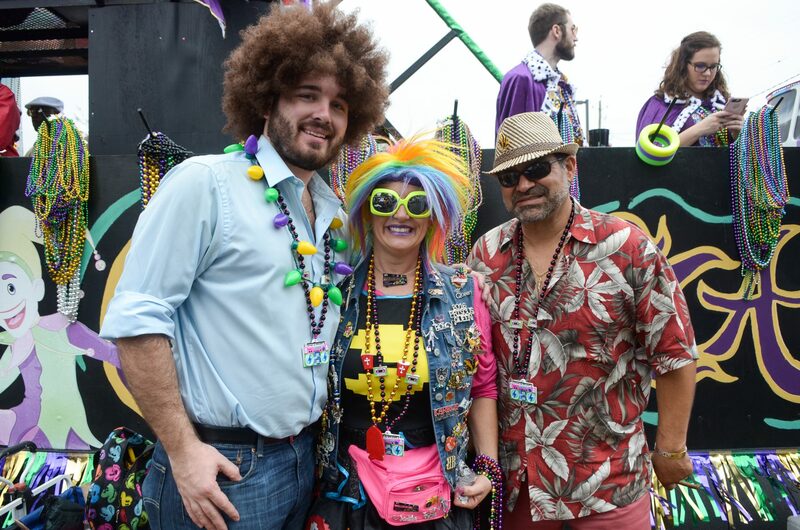 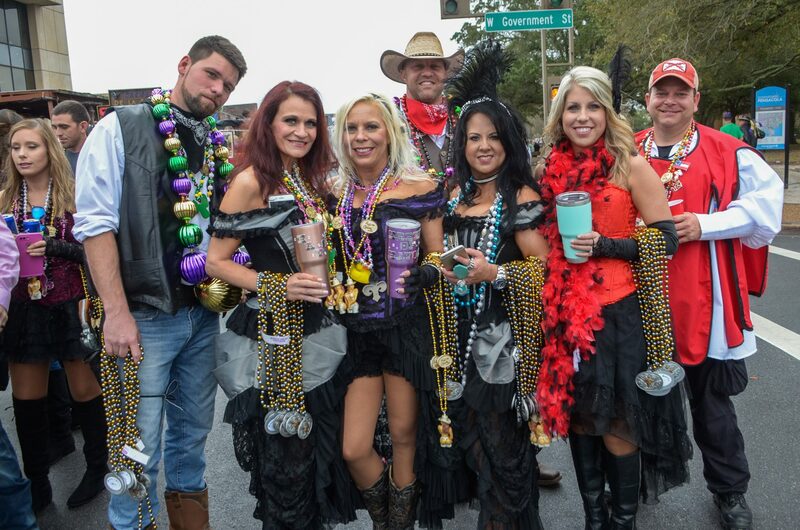 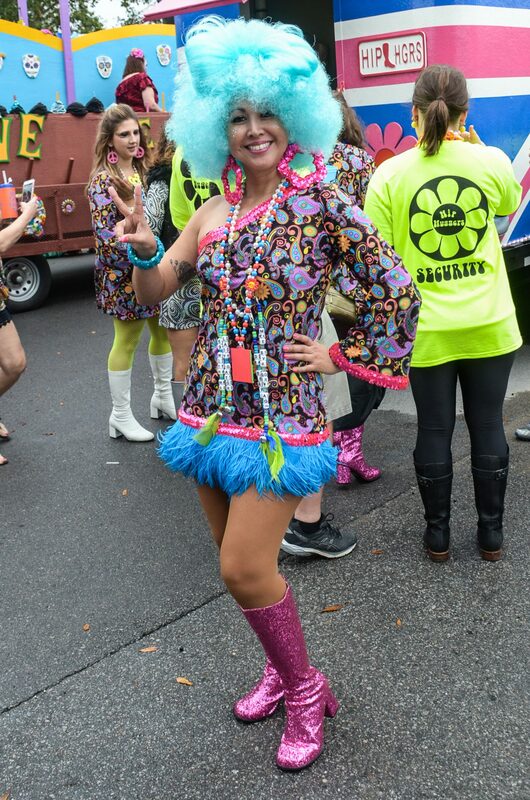 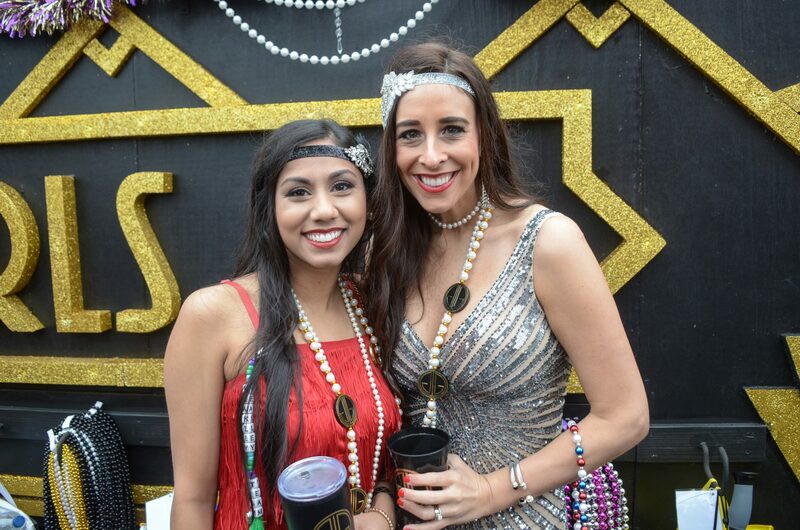 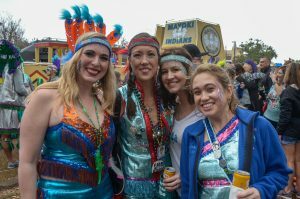 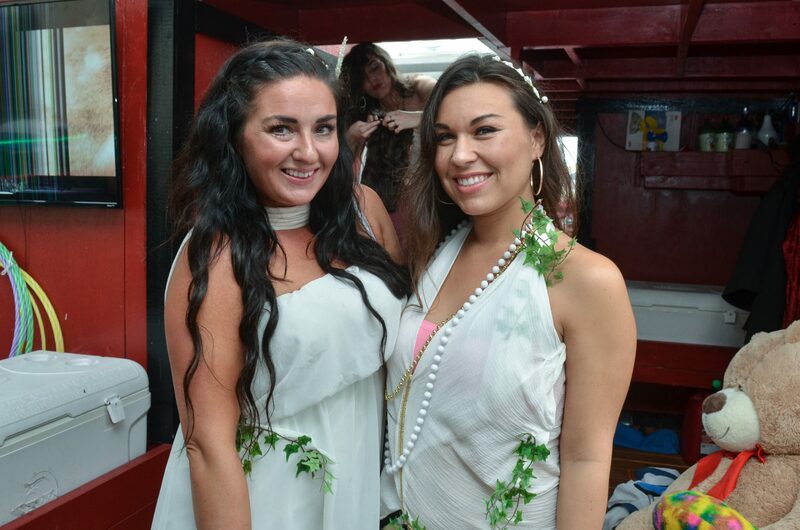 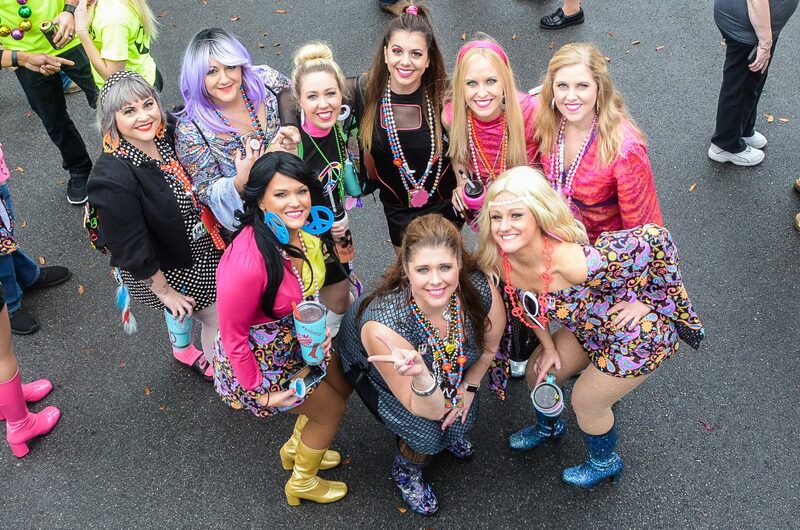 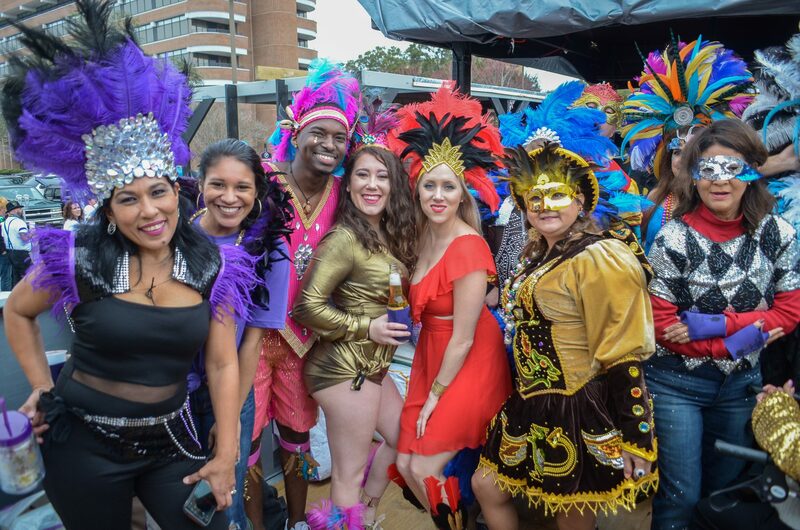 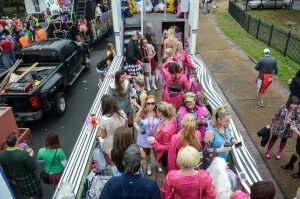 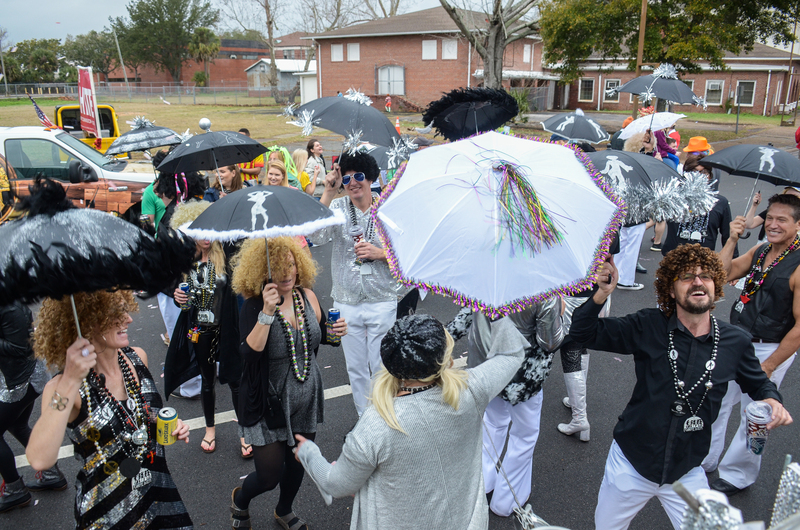 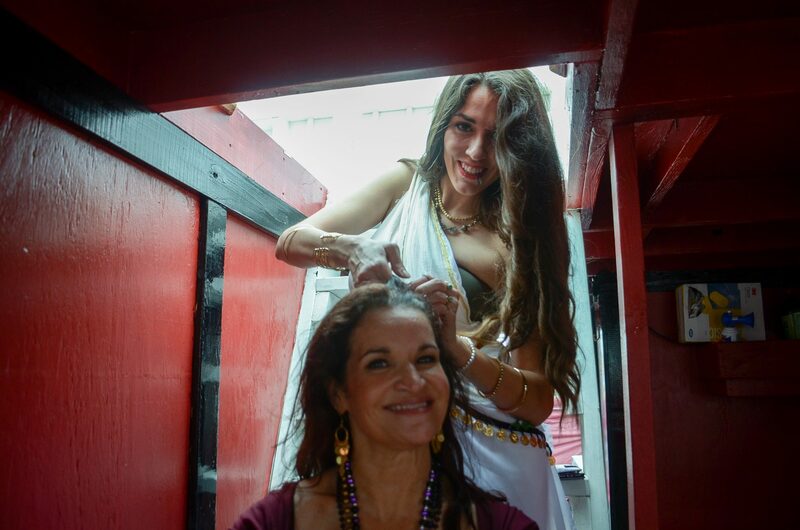 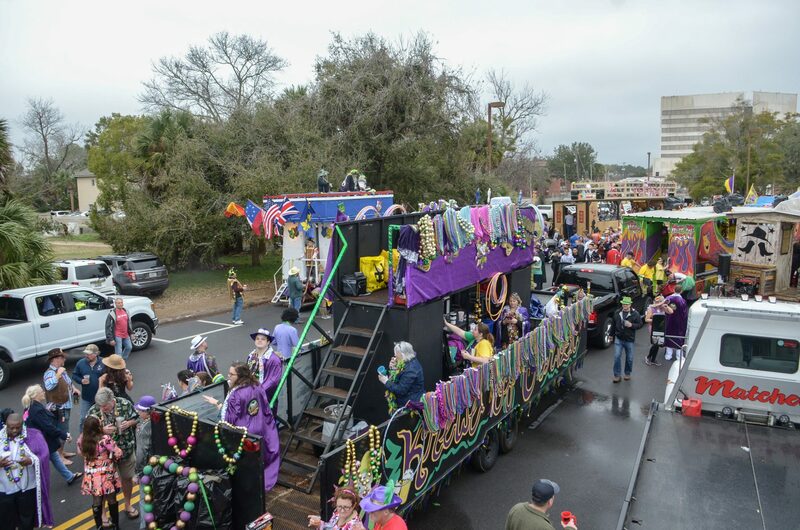 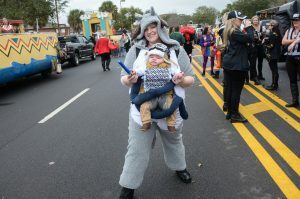 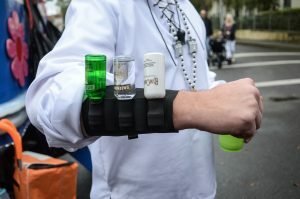 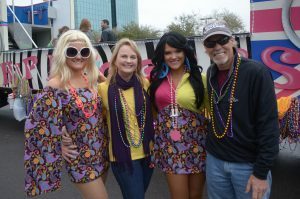 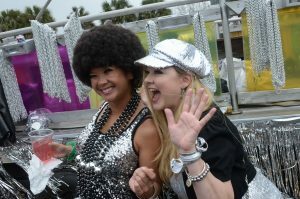 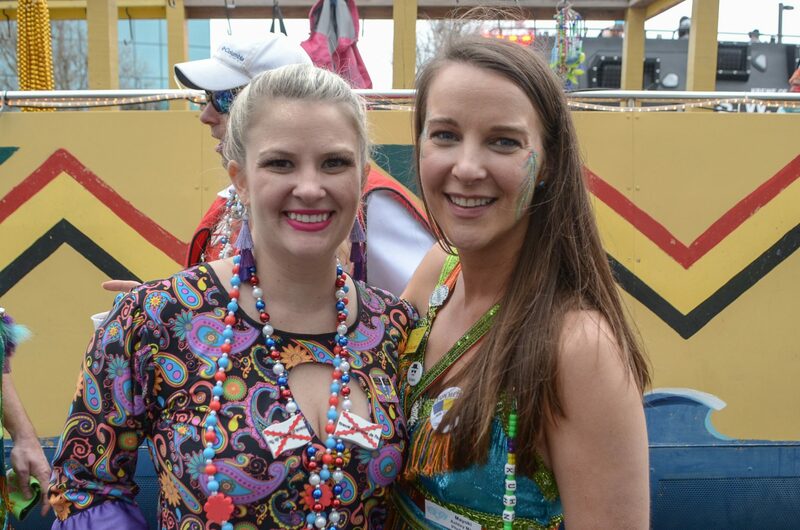 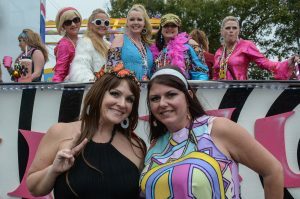 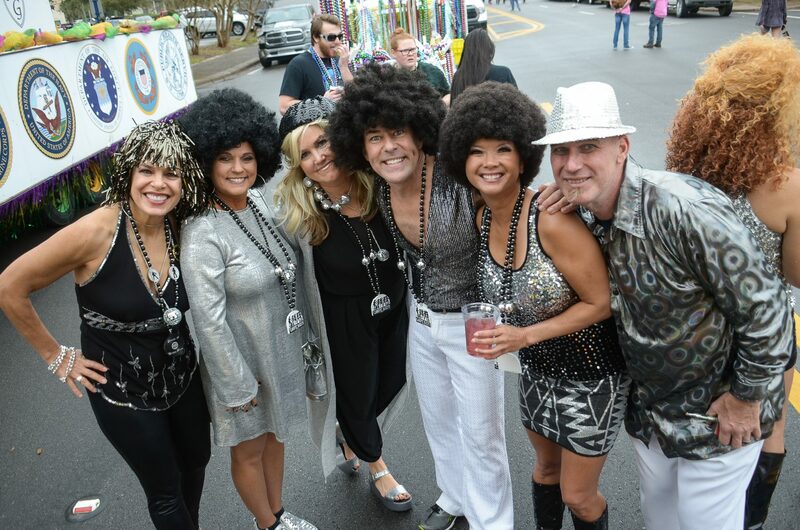 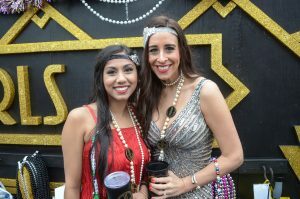 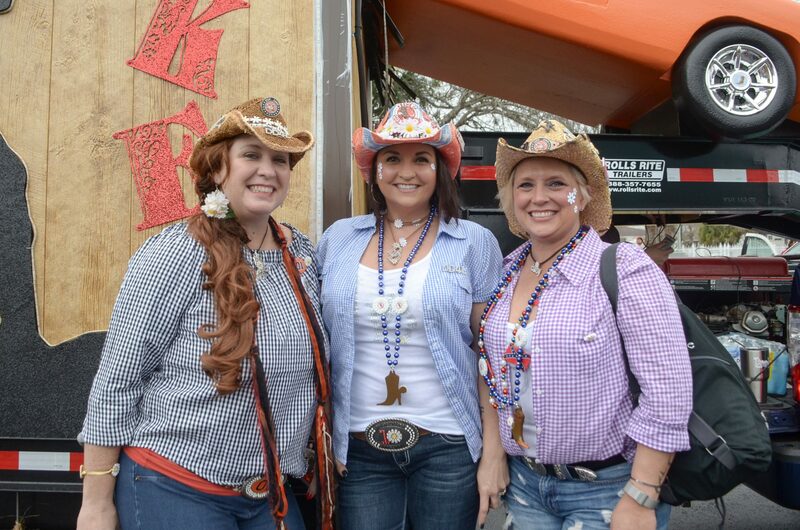 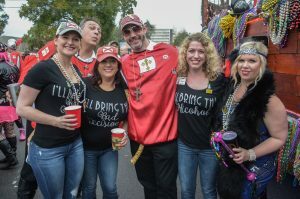 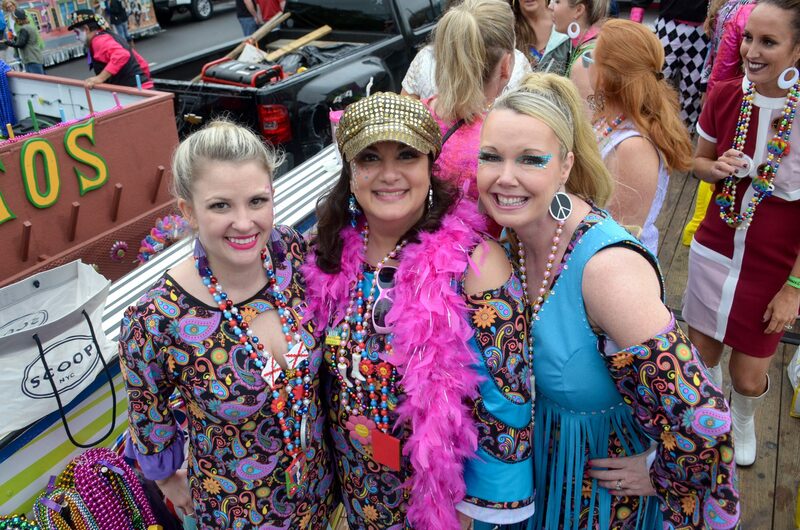 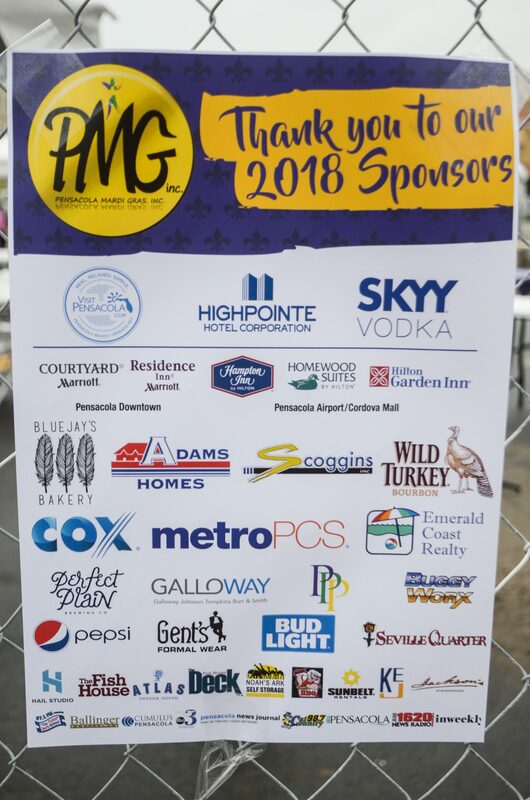 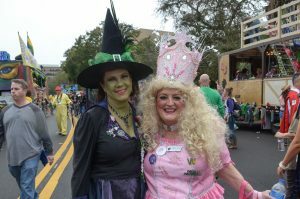 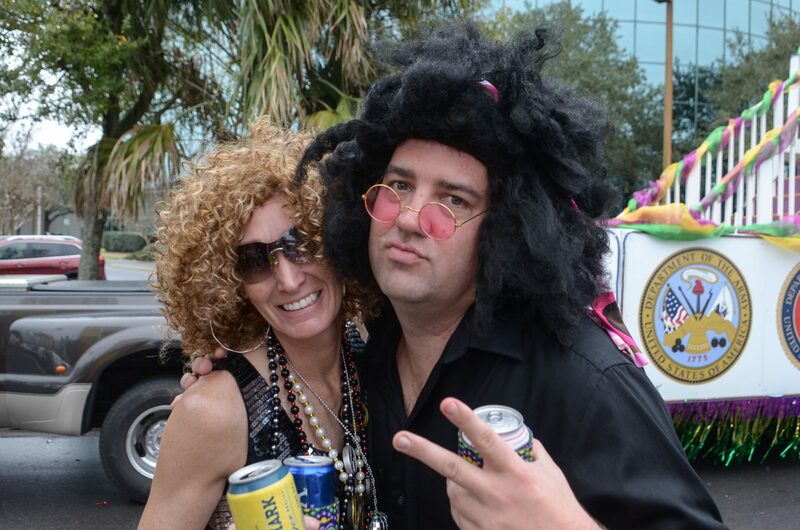 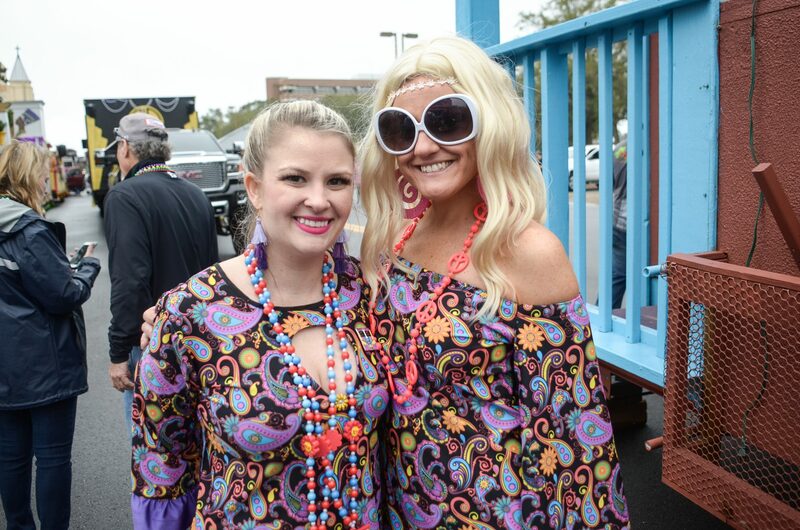 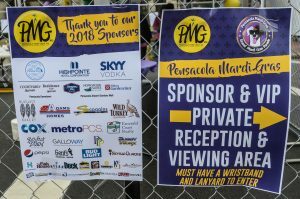 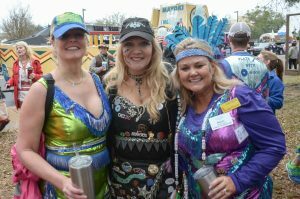 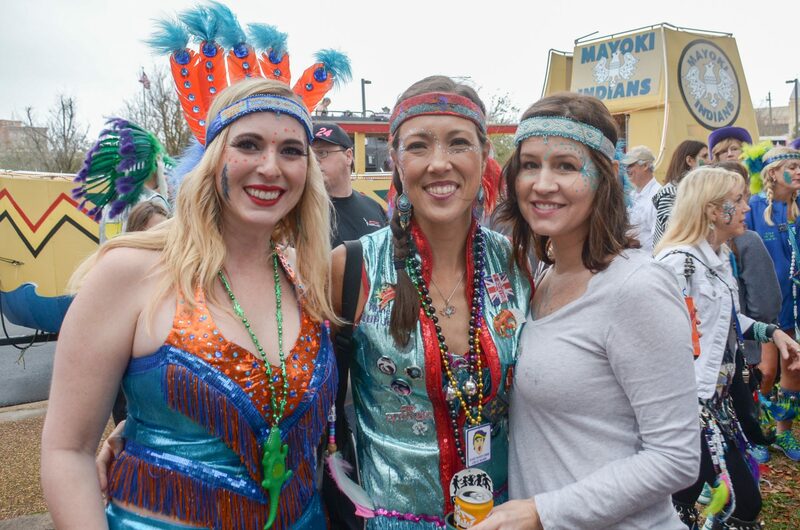 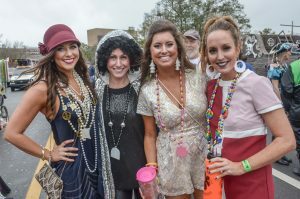 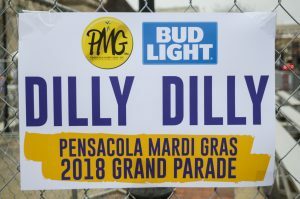 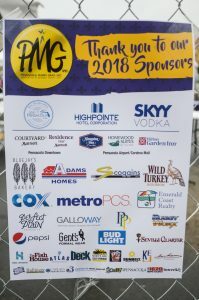 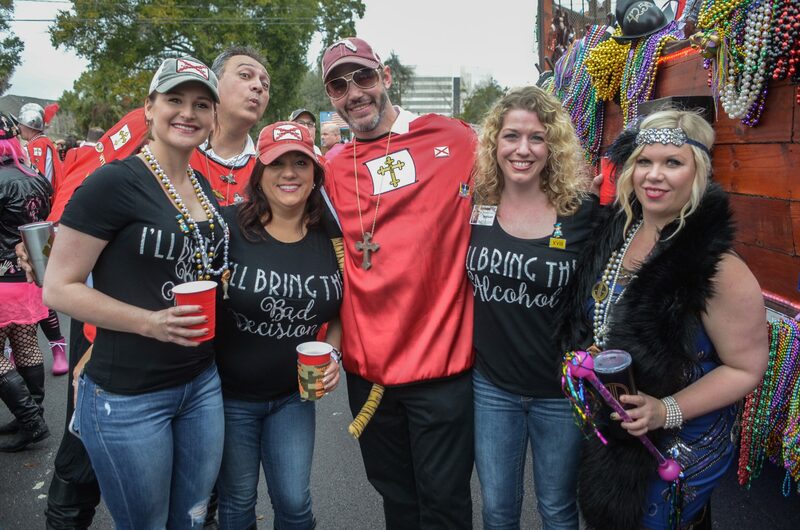 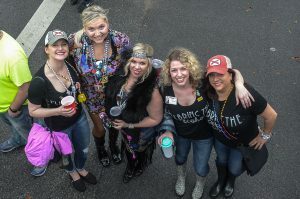 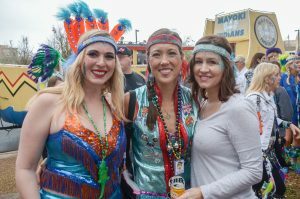 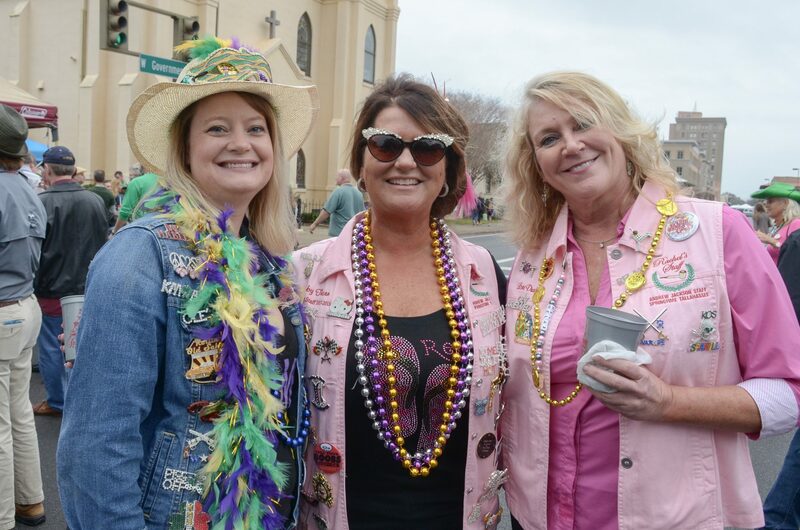 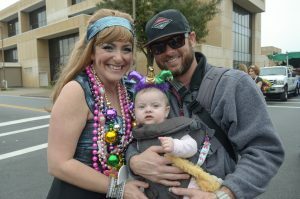 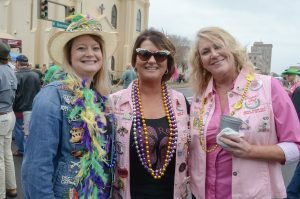 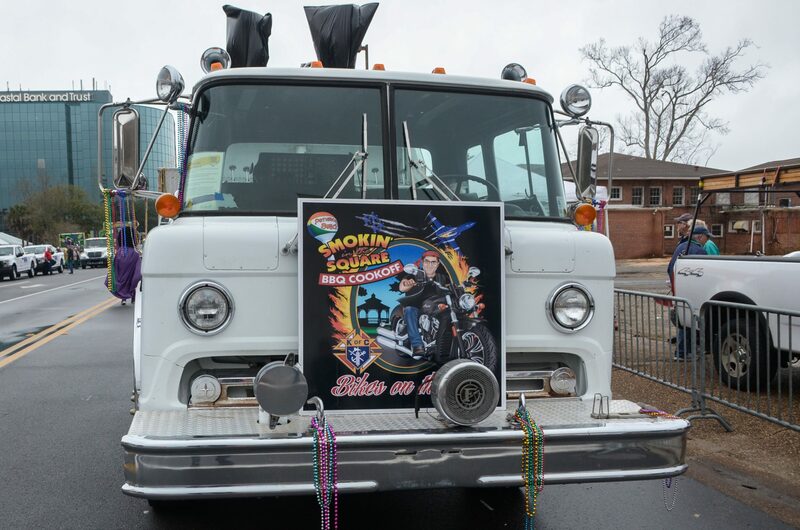 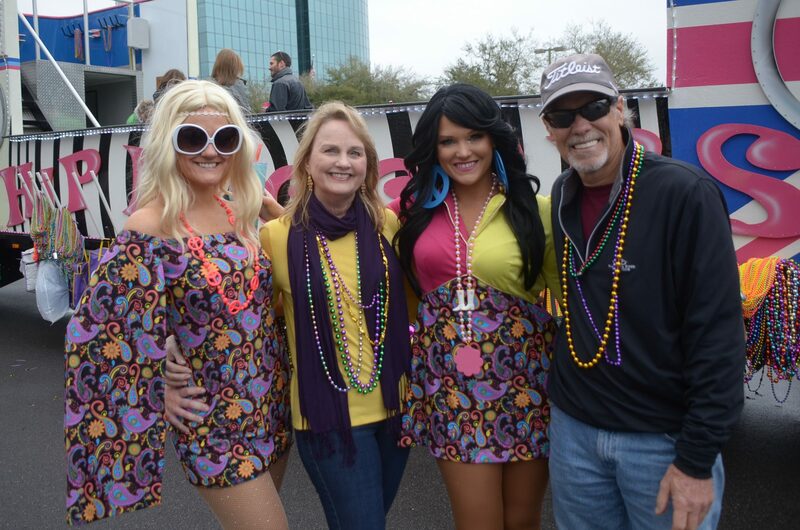 The best-kept secret of Mardi Gras is that line-up for the Pensacola Grand Mardi Gras Parade is one of the community’s greatest parties of the year. 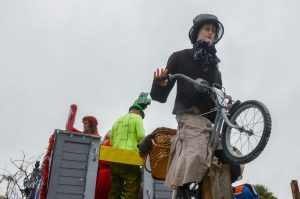 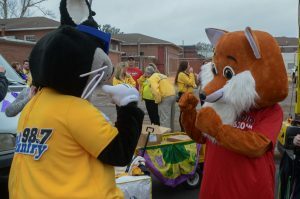 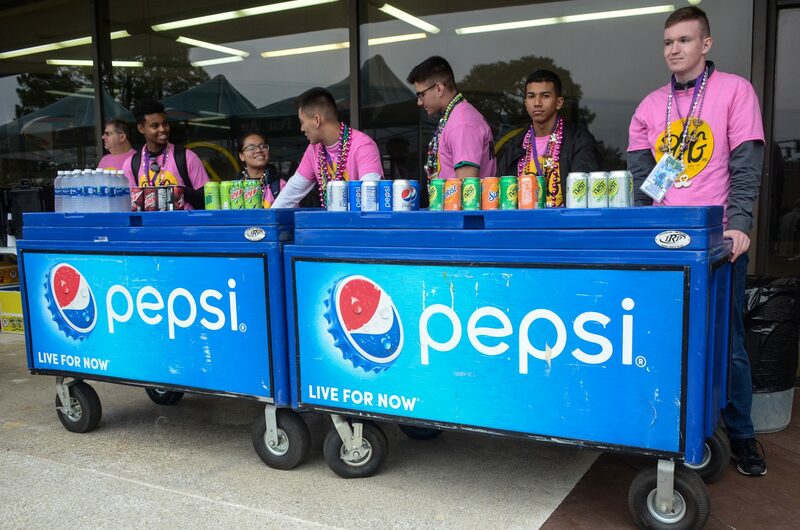 More than 6,000 parade participants gather on Spring Street to prepare fro the parade, but the prep quickly turns to socializing, eating, drinking and all-around fun. 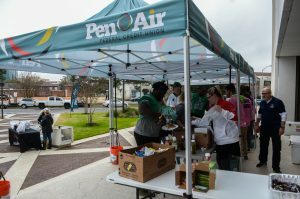 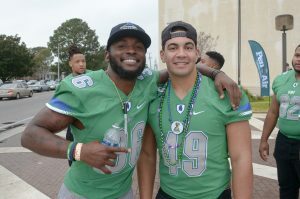 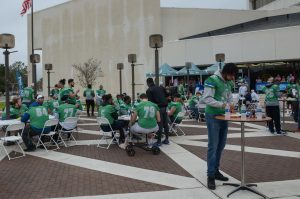 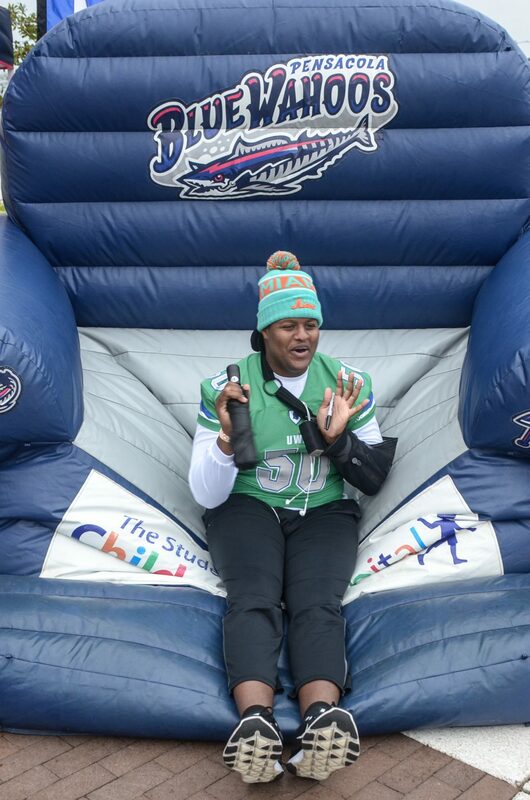 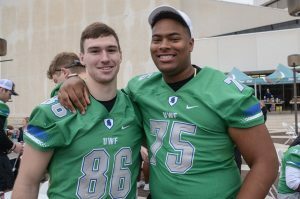 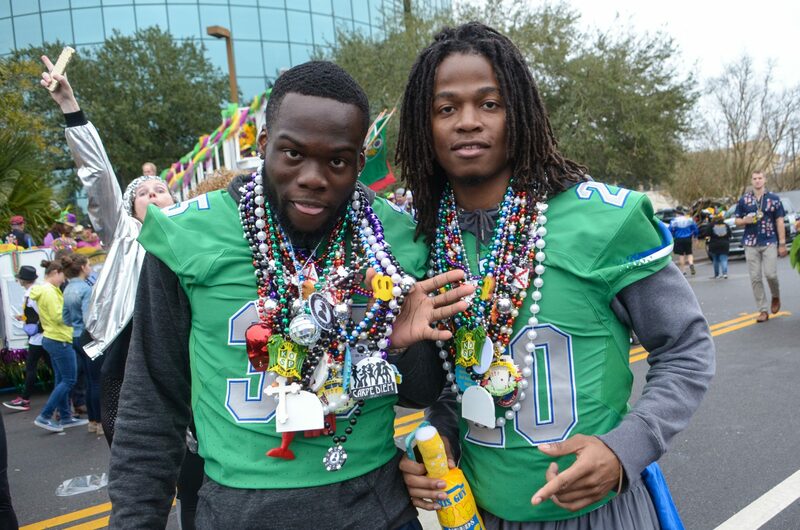 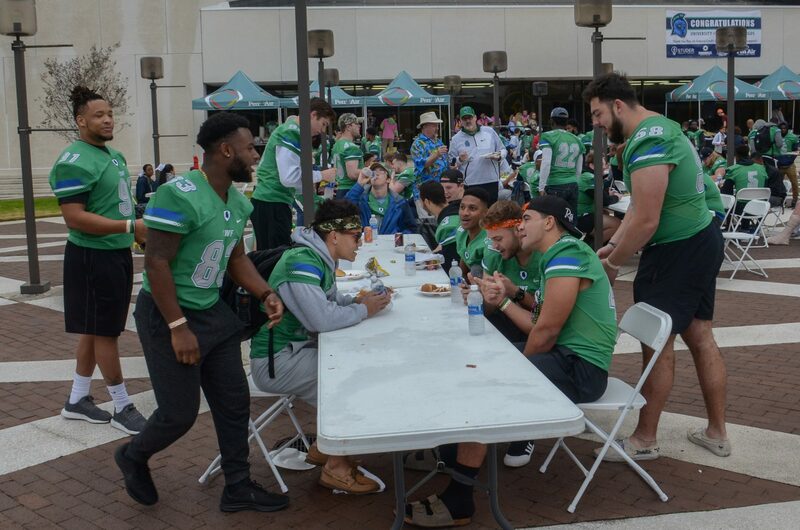 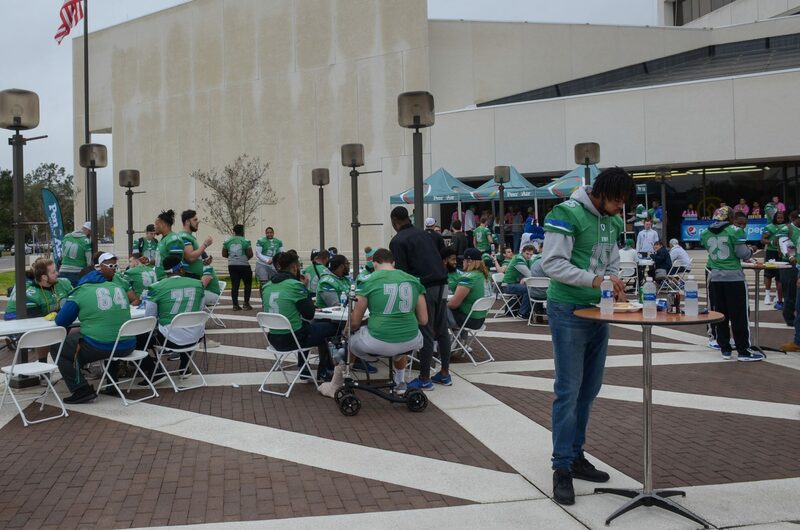 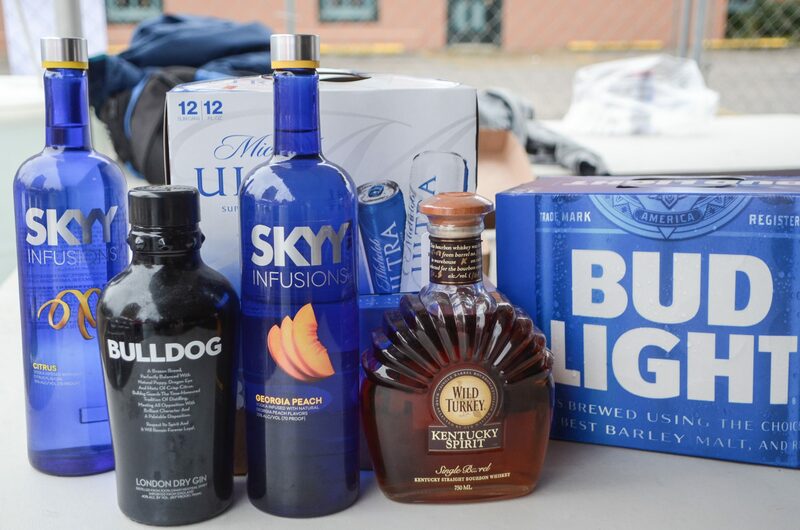 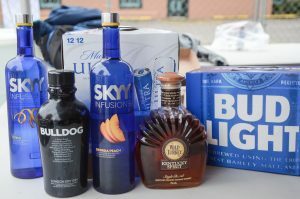 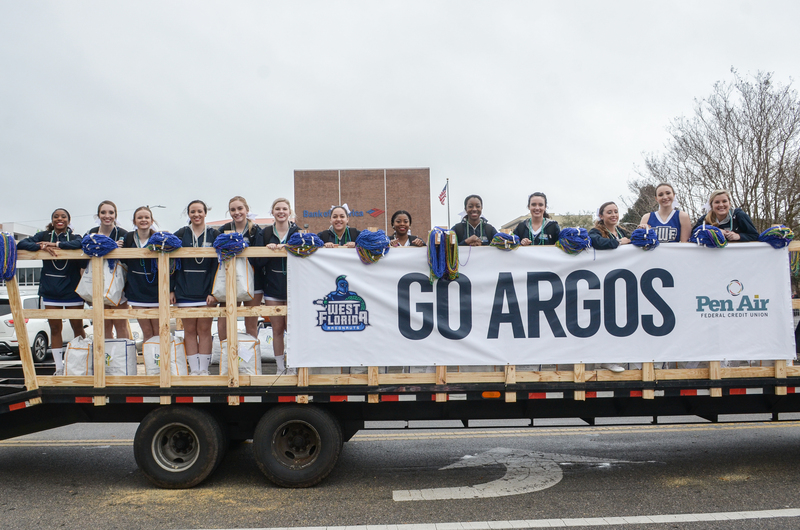 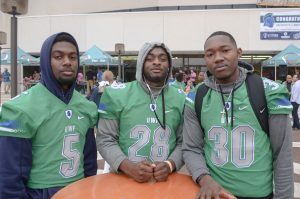 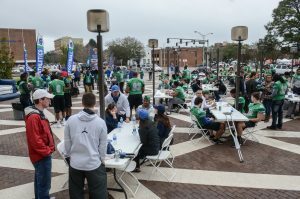 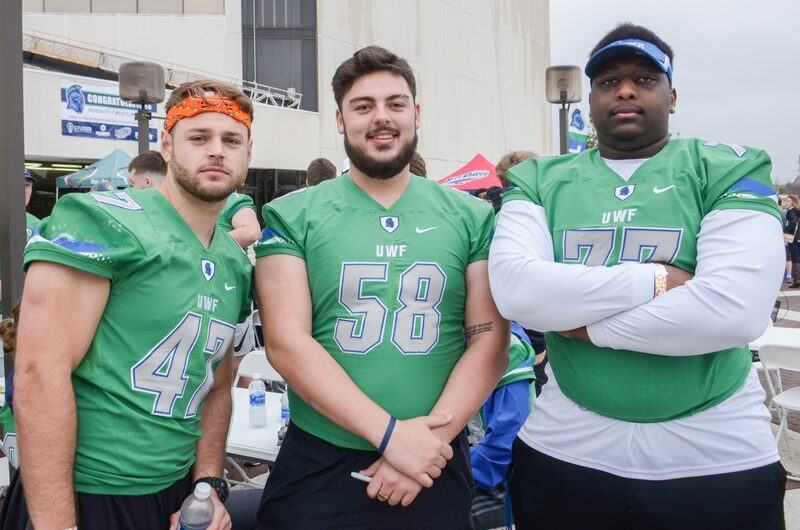 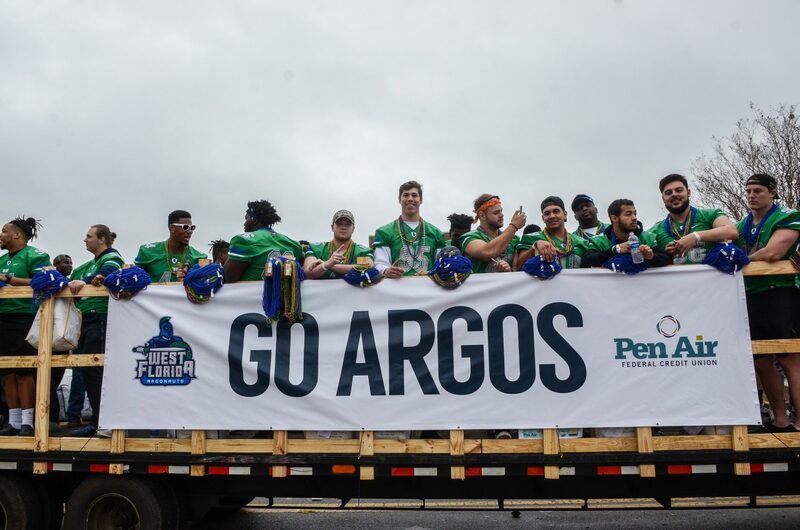 This year, though, the party got bigger and more public with a celebration of the University of West Florida Argonauts, recognizing the team’s spectacular sophomore season, which saw the team make it all the way to the NCAA Division II Championship Game. 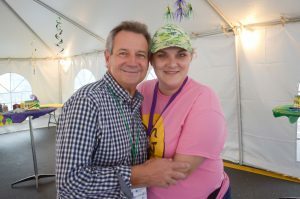 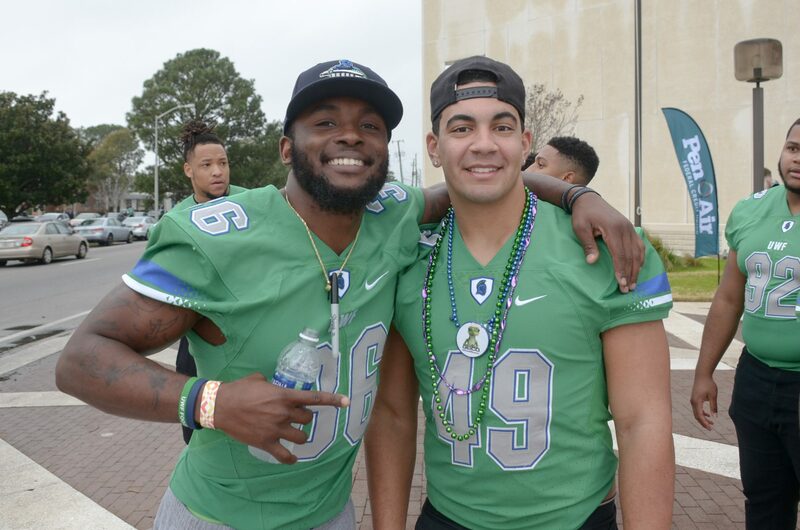 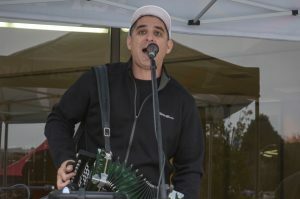 Players, coaches, UWF officials and local elected officials gathered at the SCI building at the front of the lineup for a celebration featuring live zydeco music and a chance to meet players and coaches for autographs and photos. 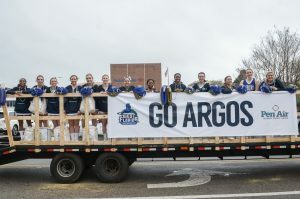 The team served as Grand Marshalls for the parade after the celebration.